It’s obvious that your social media presence and your in-person presence are two very different things. When you engage online, you can curate your posts, time your interactions, edit your photos, and create the experience that you want. Even though the online you and the offline you are different, there is still a lot of overlap. Over the past year, as I’ve helped people develop their personal branding, I’ve seen the importance of this overlap. There are basic social skills and habits that you should carry into your social media efforts. Here are some of the most important offline social skills that you can be working on in your online social media presence. If you’re friendly offline, people can tell. Likewise, if you’re friendly online, people can tell. Online, you’re not able to communicate with the same nuance or level of expression. Gone are the nuances of body language and nonverbal cues. But you still have the power to communicate friendliness in the way that you interact. Here’s an example from Buffer. They received a polite request from Charles. Patrik messaged him right back with a helpful tweet. 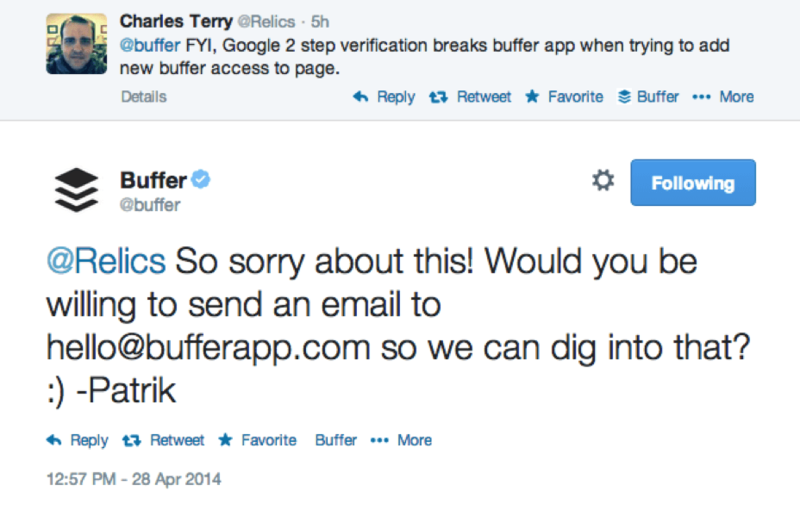 You can tell just by the tone of the tweet that Buffer and Patrik are being friendly. The smile at the end helps, too. Use normal verbal expressions. Abbreviations are okay, but try not to be curt. The occasional emoticon will help add levity and expression. Social media is vilified as being a source of inaccurate information. Unfortunately, it’s somewhat true. Sometimes, the most exciting photos and stories are totally fake. For many people, social media is their de facto news channel. They depend upon the information, believe it, and really hope that it’s true. Twitter, for example, is a real time news source in which timeliness is half the persuasion power. However, for every one legitimate news story, there are a dozen less credible stories, complete with faked pictures. 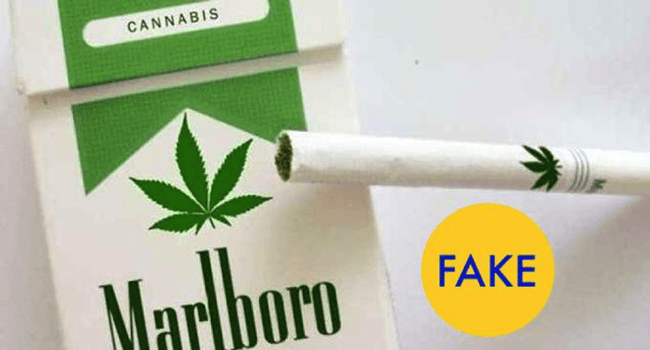 Did you see this viral photo, featuring a cannabis-themed pack of Marlboros? It was fake. When you share content on social media, make sure that you can be trusted for reliable information. Select credible news sources from which to share links. Fact-check your own claims and statements. And, please, don’t share links from The Onion as if they are actually real news. Getting on social media is kind of like getting behind the wheel of a car. Your behavior becomes unpredictable. Some people are prone to outbursts of emotion that are truly abnormal, especially when compared to how they usually act. The faceless interaction of social media is partially to blame. When you can’t see someone in person, it makes you more likely to experience raw emotion, and let loose with a few angry rants of your own. Most of us are fairly civilized in person. We know that it’s impolite to step on someone’s toes, shout in their face, or curse them. We would have to be really ticked off to actually shove someone or hit someone. Unfortunately, this kind of impoliteness happens on social media all the time. Keep in mind that if you send an angry Tweet, it’s going to go farther than a happy tweet. You’ll be known more for your negative emotions than your positive ones. A 2013 study by researchers in Beijing found that “anger is more influential than joy” in online interactions. In other words, angry posts on social media will spread farther and have more impact than non-angry or joyful posts. Because social media is a personal source of information, we tend to let our professional guard down. This is completely understandable. Surely you want to have an online presence that’s not completely buttoned-up and stiff. Where else are you going to post your rave pictures and fun experiences with friends? There is a balance, of course. If you are truly interested in building your personal brand, then you probably want to err on the side of professionalism. There is so much to lose in terms of respect and credibility just by posting one stupid picture or comment. You’ve probably heard of people who have lost their jobs or sparked national outrage over a single thoughtless post. It happens. If you maintain your professionalism, you’ll be able to keep your credibility on social media, and build respect in the process. When you get to know someone, you generally don’t dive into a deep conversation right off the bat. You talk about the weather, your trip, your job, or your family. Eventually, you’ll get to a point where you can share your personal feelings on religion, politics, and the environment. But you don’t overshare. The same holds true on social media. If you need to sound off, do it offline. Oversharing isn’t unique to social media. Some people tend to do it in the workplace, too. When done online, however, it’s a lot more public. And the ramifications could be a lot worse. Check (and double check) your privacy settings before you post anything that could raise an eyebrow. Now that you’ve double checked your privacy settings, don’t even post what you were thinking of posting. Don’t share updates when you are intoxicated. Common courtesy dictates that we pay attention to people who are addressing them. We turn towards them or look them in the eye. We respond if asked a question. We need to do that online, too. Whenever you get mentioned, retweeted, tagged, or otherwise pinged on social media, do a favor and respond. If you become incredibly famous, you may need to outsource this job, or at least be somewhat selective in the way you respond. 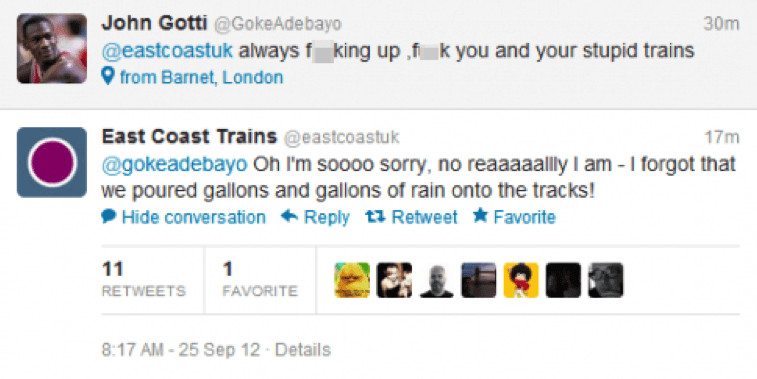 If you’re going to the effort of being on a social network, people expect the courtesy of a response. If you simply cannot respond, then let people know that in your profile. Most people try to smile when they meet people, at least a little bit. You should try to do the same online. The obvious place to do it? Your profile picture. Choosing a profile picture is a fine art. Your profile picture says more about you than the remainder of the profile. This is what professional people do when they are being photographed. Want evidence? Look no further than the promo for a Social Media Marketing Conference. The speakers smile (some more than others). We all appreciate genuine people. What you see is what you get. They’re open. They’re transparent. The same should hold in your social media efforts. Transparency and genuineness are powerful traits that help you in marketing and in building relationships. Although it’s important to guard against oversharing, you should still be real with people. If you’re facing a challenging time in your business, you can be genuine about it without being melodramatic. Genuineness is simply about being real — the real you. That’s something that is important in everyday offline interactions and online ones, too. It can be challenging to juggle the intricacies of a social media life. The whole tenor and pace of interaction is far different from what we’re used to in offline sociability. However, the main tenets are still there — friendliness, trustworthiness, professionalism, restraint, attention, a smile, and genuineness. What offline social skills do you think are important on social media?